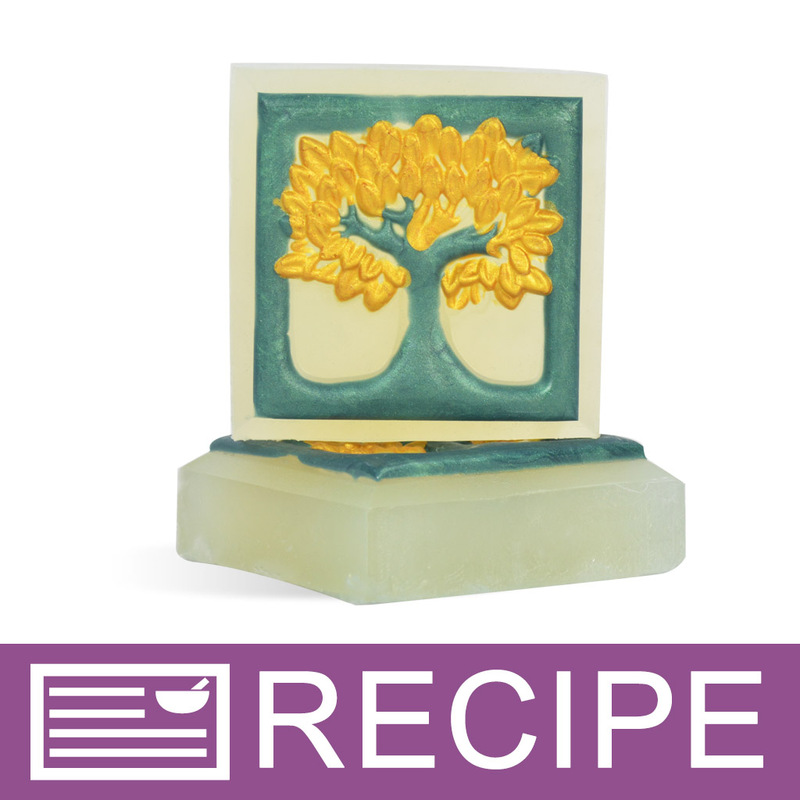 The Tree of Life Silicone Soap Mold can be used to create 9 square bars of soap with the Tree of Life design on each. Create 9) 3.5 bars of soap with this easy-to-unmold silicone soap mold. Tray Measures: 10" x 10.5" x 1.25"
Top of bar is perfectly straight without rounded corners. Mold walls are built with extra thickness to prevent bowing. COMMENTS: This mold is excellent quality. Works great. So much better than the plastic mold. COMMENTS: This mold makes my shampoo bars look amazing!! COMMENTS: This tray mold is a dream! It makes perfect square soaps and the tree design comes out soooo clear! My first batch was melt and pour with gold trees and a dark green background and they look fantastic! It is so easy to cut the bars apart! "Makes pretty bars of soap"
COMMENTS: Have only used this once, but so far so good. After washing it, I used it in a basic cp soap recipe. It was easy to remove after 24 hours. COMMENTS: This worked wonderfully for CP soap, much easier than I anticipate. The soaps are a great size too. Next time I just need to let my soap batter get a little more firm and it will be perfect! Soap came out of the mold like a dream even though I couldn't stand waiting and took it out too early! COMMENTS: I really like this mold. I found it worked as well as any other silicone mold and it was very pretty. "How many ounces are in one bar? Thank you"
Staff Answer This mold makes 9 approximately 3.5 oz. bars. Here is a link to a recipe used with this mold: http://www.wholesalesuppliesplus.com/handmade101/how-to-make-recipes/australian-tea-tree-mp-soap.aspx. "Is this a Milky Way Mold? " Staff Answer This is a Crafter's Choice silicone mold. 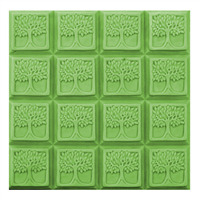 Here is a link to the Milky Way mold: http://www.wholesalesuppliesplus.com/products/tree-of-life-soap-mold-tray.aspx. "are the sides straight up or slanted? how deep is the mold and how much does each individual bar weigh?" Staff Answer The sides are straight up and down for each individual bar. "what is the depth of this mold? what is the total ounces used for M&P soap?" Staff Answer The molds holds approximately 40 oz. of soap. The depth of the mold is 1" and each bar is 2.5" x 2.5".